If the recent occupation of Oregon’s Malheur National Wildlife Refuge has a silver lining, it’s that more people than usual came across the words “national wildlife refuge” in their newspapers and on the radio and TV. 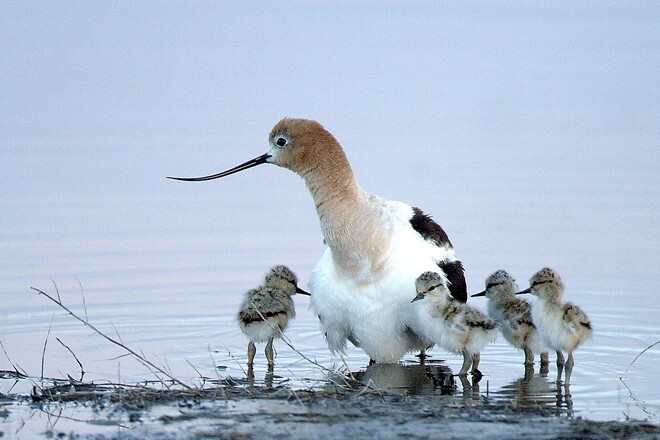 Too rarely, however, did broadcasters and reporters explain adequately what Malheur National Wildlife Refuge is — that is, the 29th largest refuge in the entire national refuge system, and the second largest in Oregon (behind Hart Mountain National Antelope Refuge), and one of America’s most productive waterfowl-breeding areas, not to mention a vital stopover for migratory birds. Even rarer did we hear descriptions of the special meaning Malheur holds for countless birdwatchers. To learn about that, we reached out to our readers via our free biweekly e-newsletter and Twitter. We heard from educators, photographers, campers, artists, birders, and one famous world traveler — Noah Strycker, the new global Big Year record-holder. 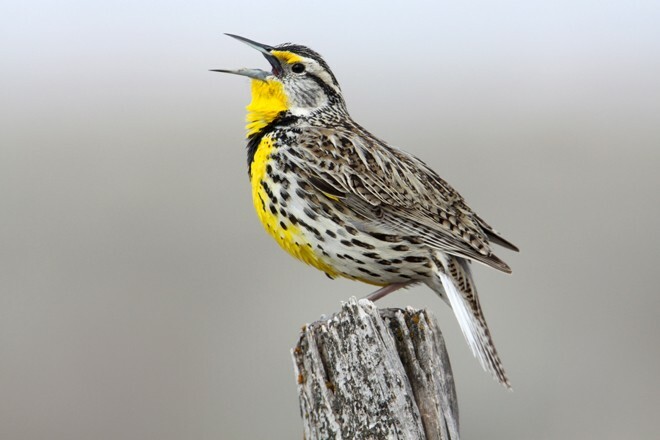 (He took the photo of the meadowlark below.) He and all the other respondents expressed very well, we think, just how precious our national wildlife refuges truly are. To all of us. A selection of the replies follows. 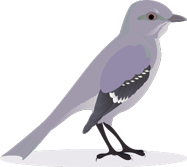 I am an avid birder, and Malhuer is extremely important to me — especially because I have not had the chance to visit it yet. I have read and heard of its beauty, not to mention its importance to migratory birds, like the huge percentage of Ross’s Geese it serves. It is on my bucket list of amazing places in this country that I want to visit. This past August, I spent six days birding in various parts of this sprawling refuge. For several happy hours at headquarters, I watched Long-billed Curlews, American Avocets, Willets, and yellowlegs on the little pond, and I sat on the steps of the main building to enjoy hummingbirds coming and going. I hung out at the end of Boat Launch Road with kingbirds, blackbirds, a harrier, a Golden Eagle, an American Kestrel, and a shrike. I drove and walked miles and miles on the dirt auto routes, with Swainson’s Hawks and Sandhill Cranes in the agricultural fields and Ring-necked Pheasants ducking in and out of hedgerows. At Buena Vista, I watched scores of ducks, egrets, ibis, and coots. The nearby irrigation ditches were full of surprises: a Sora and a Virginia Rail within a few yards of each other, a Sharp-shinned Hawk erupting from the willows, a Black-crowned Night-Heron so intent on fishing that it didn’t seem to notice me. Every minute that I was at Malheur, I was intensely aware of what was around me — the heat, the haze from wildfires, the plants and animals, the birds, the constant sense of space and openness. There’s a feeling of being stripped bare in such a place, and I recognized how privileged I was to be able to visit. My husband, Malcolm, and I first visited Malheur in May 1998 as part of a field trip with the Oregon Field Ornithologists. We were thrilled to find such an amazing place! I got 11 lifers that day, including a pair of Bobolinks so close we could have reached out and touched them. We also saw coyotes, Belding’s ground squirrels, marmots, rabbits, pronghorn, and mule deer. We liked it so much we returned in spring and fall every year until we moved to North Carolina. One time we saw Western Grebes doing their courtship display — a thrill! One of the added bonuses was the adjacent BLM Paige Spring Campground, where we stayed in our small RV. On our first visit, I was going to transfer notes from a 3×5 card to my bird book, to record the lifers I had seen. I sat at the picnic table and couldn’t concentrate on my task because of the orioles that were removing materials from one nest to take to another, the Mallards that were swimming in the stream behind our campsite, the Common Nighthawk resting on the tree limb in our site, and an active starling nest in the same tree. We also saw and heard a Virginia Rail that evening. One of our memorable family stories is when my then-girlfriend asked me more about my hobbies. I sheepishly responded that I enjoyed birdwatching. She rolled her eyes, escorted me into their kitchen, opened a cabinet near a window… and there was a set of binoculars and her father’s yard list taped to the inside of the door. My eventual marriage to his daughter rekindled a spirit of adventure and birding in both my father-in-law and me. Our first birding trip together was when he accidentally found out about the John Scharff Migratory Bird Festival at Malheur (now known as the Harney County Migratory Bird Festival). Neither of us had been there before, we didn’t know what to expect, but we thought it looked fun. In short, we were amazed — and hooked. That weekend trip was the beginning of dozens of birding trips together around the U.S. and the world. 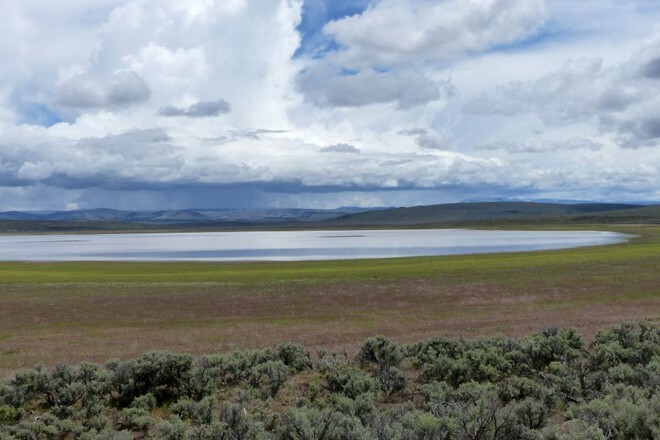 Of all the places we have been, Malheur is unique in our hearts because it is the anchor of our birding memories. It is where both of us realized that birding doesn’t have to be done alone or as a secondary activity. 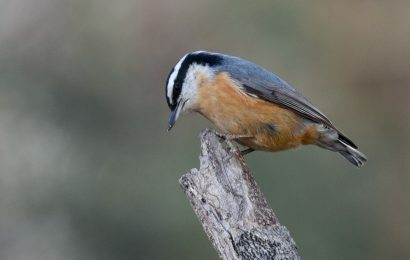 We discovered that you can plan a trip just for birding and just to be outside and appreciate the beauty of this world. We have returned to Malheur several times together and never get tired of the beauty of the area. 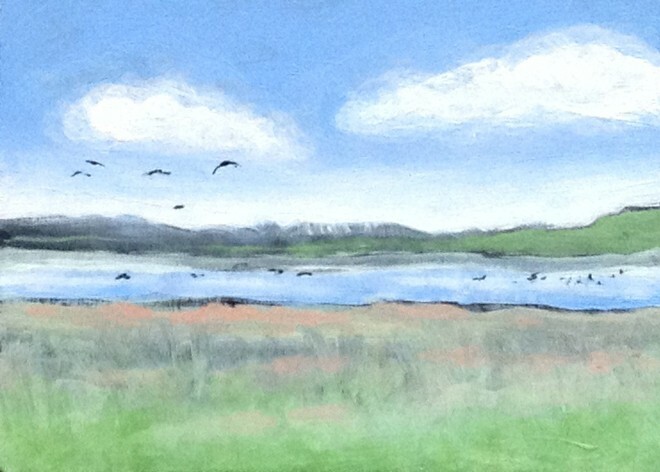 Painting of Buena Vista Ponds at Malheur. © Rakar West. Used by permission. On my first visit to Malheur a few years ago, I found the area to be remote and, at first glimpse, rather unspectacular. High desert flatlands, a few mountains, and a lot of sagebrush were all the eye could see. Malheur Lake was shallow and hardly accessible. Then I found the headquarters — a small group of buildings with a few trees and a little pond out front. I walked around the lawn and, to my amazement, found that the tiny unassuming patch was truly an oasis for a huge number of migrants. 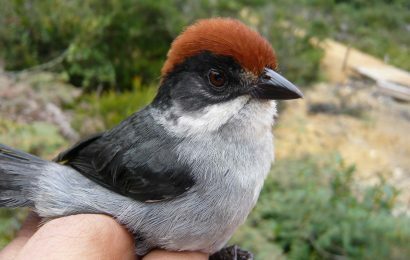 The birds were so numerous that I could pick a tree and wait for the next revelation to arrive. Brilliant Western Tanagers perched in blossoming trees — an overload of color. Townsend’s Warblers and Bullocks Orioles fed in the nearby brush. 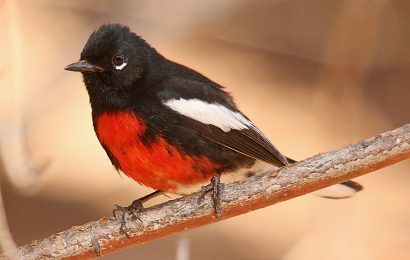 Calls from Lazuli Buntings were never far away. Right off the deck of the visitors’ building, a rare sighting: A Rose-breasted Grosbeak joined Yellow-headed Blackbirds at the feeders only feet away. And then there was the rest of the refuge. It has a sprawling 30-mile auto tour of riparian habitats filled with birds taking a rest along this inland piece of the Pacific Flyway. Eared Grebes flashed their stunning black and gold plumage. 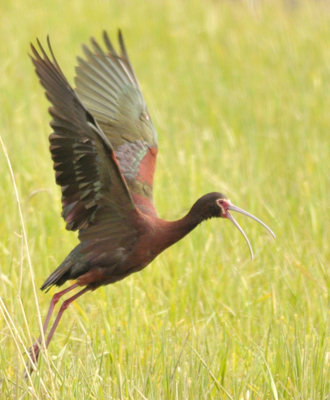 White-faced Ibis flocks littered puddles along the road, the sheen of their wings glistening with every iridescent color. 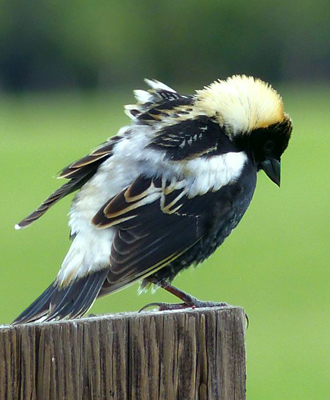 Bobolinks chimed unreal songs in a distant meadow. Since then, I’ve had a chance to get back a few times. When I near the headquarters, I always feel a tingle of excitement, knowing I’m about to enter one of those special areas where humans are allowed to witness wildlife on a scale that is becoming more and more scarce. I had the privilege of visiting Malheur for five consecutive years in the late 1980s. It is a nine-hour drive from my home south of Seattle to the refuge. Every year, driving east out of Bend on Hwy. 20 and dropping down to the semi-desert from Horse Ridge, facing many miles of straight road, I asked myself — what in the world was I doing there? Going to look for birds? It seemed a bit crazy at the time. After reaching my destination though, I was richly rewarded and never regretted having made the trip. 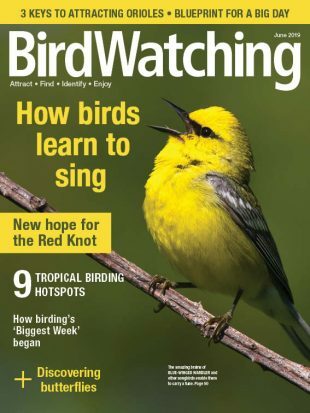 I’d see Yellow-breasted Chat, Pine Siskin, Evening Grosbeak, a large Cliff Swallow colony, shorebirds, owls, Trumpeter Swan, American White Pelican, and nesting Northern Harriers. In a small canyon leading up to a ridge, a Long-eared Owl nested in an old magpie nest. Once, I saw a Turkey Vulture exit one of several caves along the ridge. I climbed up and was rewarded with smelly marmot droppings. A young vulture may have been farther back in the cave. 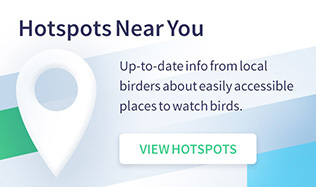 Malheur was the location where I began my life list, and we must have added more than 50 birds over that long weekend. I still remember waking up early one morning to the calls of waterfowl, unzipping our tent, grabbing the binoculars, and sneaking out to identify the callers. I even have a picture in my scrapbook of my fiancé watching birds in his pajamas! It was at Malheur National Wildlife refuge where I first saw sage-grouse dancing — more than a hundred strong in a wondrous display on a cold, sagebrush-scented dawn. Little did I know that the University of Oregon field trip would be so meaningful. Later in life I drew again and again upon that memory as I wrote professionally about sage-grouse first for the National Wildlife Federation and then for the Sage Grouse Initiative. 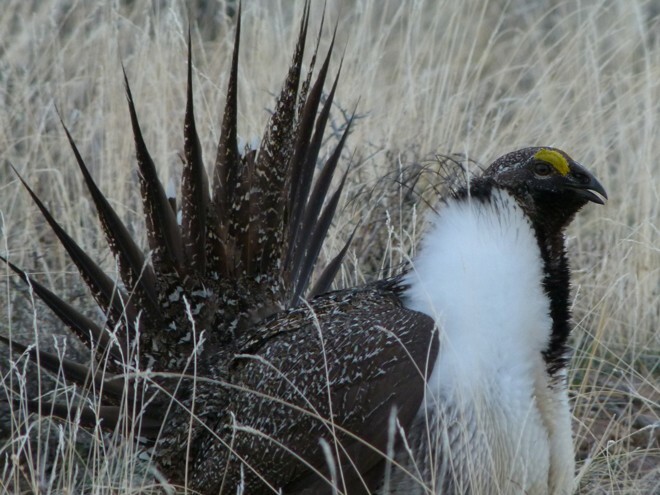 And it’s there in Harney County where ranchers came together so very recently to demonstrate cooperation and care for sage-grouse and for good ranching practices. It is their model that our nation needs to heed and follow — cooperation over conflict and ranching that conserves, not destroys, our heritage. Read Malheur’s Comprehensive Conservation Plan, completed in 2013. It was also at Malheur where I first watched the antics of courting Ruddy Ducks, fell in love with Cinnamon Teal, and gasped at flights of White-faced Ibis overhead. And it was at Malheur where I fell in love — literally, and have my own personal memories of a place where birds and wildlife and visitors find a safe haven.